Petroglyph attended one of the largest game guild conferences in the world last month. As the community manager for the studio, I was super excited to see what was in store for this year's event. 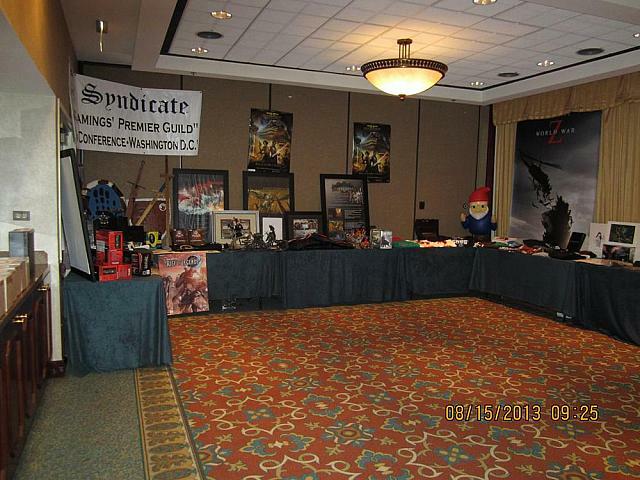 While there are hundreds of game industry events of all types, only a handful of them represent guilds like The Syndicate. Sean "Dragons" Stalzer (with such an awesome game name, I must refer to him by it from this point forward) has been the leader of the guild since the very beginning in 1996, just before Ultima Online entered beta. The Syndicate has more experience and resilience than any other guild I've ever encountered, and they bring it all together at their yearly conference, SyndCon. The event is the epic result of what can be achieved when a guild sets long-term community goals and has strong leadership for it to grow and prosper. Dragons has already written two books about the guild and how to grow a community of gamers into an organization like The Syndicate. SyndCon is a long, 5 day, supercharged weekend filled with plenty of activities and chances to meet up with fellow guild members, as well as prominent industry guests. I had attended the last few events over the years and met cool new guild members each time. This year was special in that it was the first time attending after I was inaugurated into the guild as a member. SyndCon was also hosted near the U.S. capital, Washington D.C., a city worth exploring if you ever get the chance. 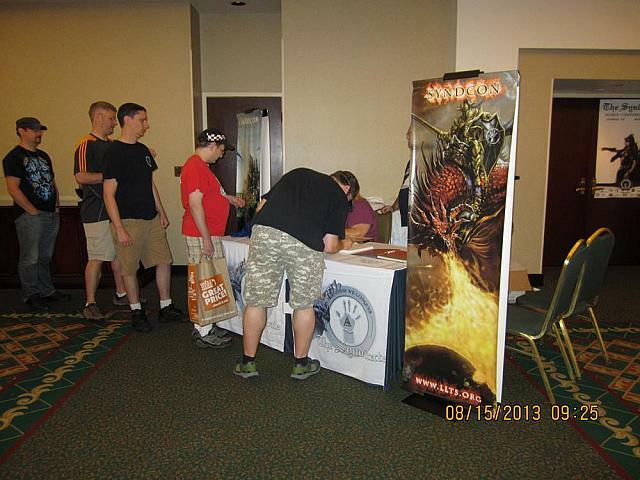 The main focus of SyndCon is to put faces to names of the hundreds of guildmates we encounter daily in various games, and to solidify friendships and forge new ones. You meet guild members all over the conference floor, as well as throughout the hotel where the conference takes place. Several developer panels and lectures fill the bulk of the scheduled time. The rest of the day includes guild members playing games in the various game rooms, including a larger room dedicated to a wide array of popular board games. A highlight of any event is of course the guests. 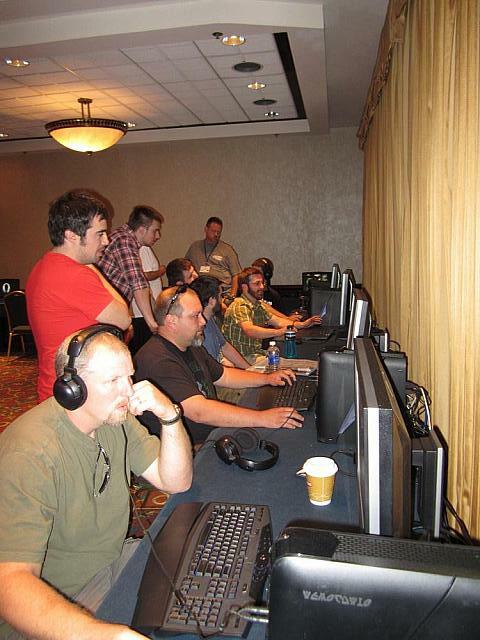 Several developers attended from Alienware, EA/BioWare, Zenimax, Petroglyph, City State, Roberts Space Industries, and even the legendary Richard Garriott from Portalarium. Alienware provided an array of supercharged laptops to play games on, as well as giving away one in a charity raffle during the last day of the event. We also got a sneak peek at some of their fancy new computer hardware. If you are looking to purchase a new laptop soon, Alienware's new 2013 lineup is worth checking out! This year's guest speakers were chock-full of great games to present. While the guild normally keeps a focus on just two online games at a time, they are looking for another, probably a replacement to one of the existing games. It's important to keep a guild together and not spread out to thin. Anyone can play any game they like of course, but for official guild activities and events, it's set at two. Portalarium's Shroud of the Avatar game, as well as Bethesda's Elder Scrolls Online, are the two presented at SyndCon that excited me the most. 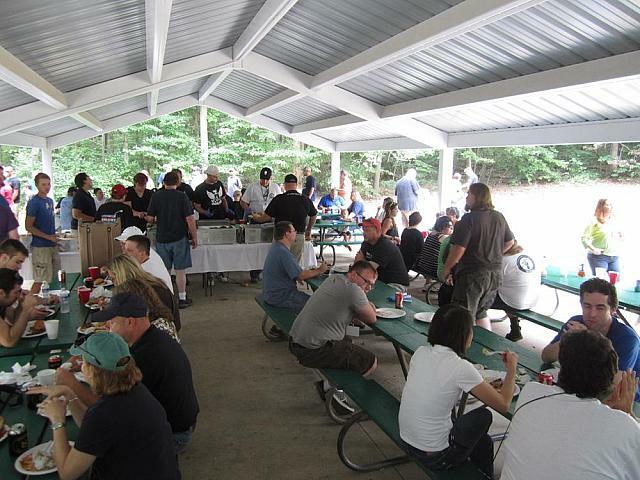 What group event wouldn't be complete without some time sunning outdoors around the BBQ? The guild gathered Saturday afternoon at a nearby park for a picnic. While the food was being prepared, several games were setup and played around the open park space. Everything from volleyball to tossing Croquet balls (sometimes at each other) was in action. Even strangers from around the park had gathered to watch the fun. Catered by a guildmate's company named In10sebbq and served by an army of guild members, dinner included pulled pork chicken, hamburgers (including turkey burgers for us health geeks), hotdogs, and of course an entire row of cakes for dessert. Bees later came out of the trees, swarming the cakes and threatening to steal the frosting. Fortunately, someone was prepared and had brought with a bottle of Magical Bee Spray (-5 health per second to bees, area-of-effect). We gamers are resourceful types! Swag time! I'm a sucker for free stuff, even if I have to pay for it. What I mean by that is the donations given to the guild's Charity (American Cancer Society) Raffle event. You donate in exchange for a chance to win some of the items on the swag tables (and simply to be a nice person, of course). There were piles of t-shirts, hats, posters (signed! ), game cards, cos-play outfits, hand painted miniatures, and the previously mentioned Alienware laptop as the grand prize. The charity raffle lasted for over an hour as Dragons and a small team tirelessly handed out hundreds of items, calling off names in his commanding voice. Eventually the piles of swag dwindled to a smattering of leftovers. At that point most members said their goodbyes, while the rest ran up to their hotel rooms to stash away their new loot to free up their hands for one last evening of gaming. LLTS (Long Live The Syndicate)!